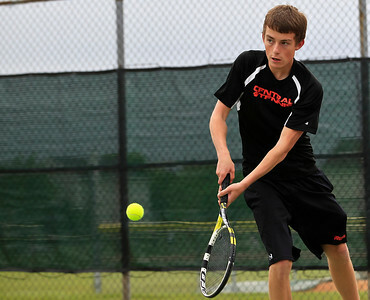 Brett Moist for The Northwest Herald Crystal Lake Central's Jake Lenhard returns a serve against Grayslake Central during his second set of his doubles Final round Match at Crystal Lake South High School on Saturday. 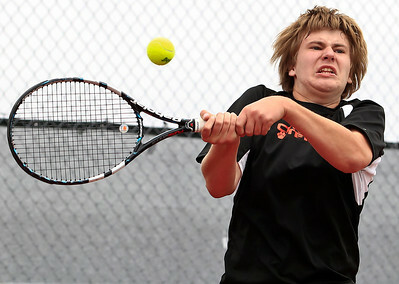 Brett Moist for The Northwest Herald Prairie Ridge's Connor Greenwald returns a volley from Crystal Lake Central's Josh Pudlo during the first set of their Singles Final Matchup at Crystal Lake South High School on Saturday. 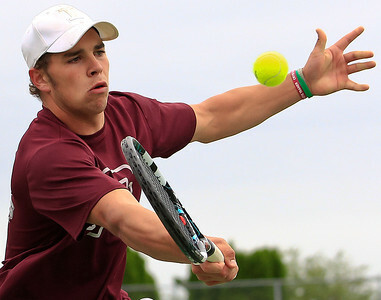 Brett Moist for The Northwest Herald Crystal Lake Central Freshman Josh Pudlo serves to Prairie Ridge's Connor Greenwald during the first set of their Singles Final Matchup at Crystal Lake South High School on Saturday. Brett Moist for The Northwest Herald Prairie Ridge's Connor Greenwald returns a volley from Crystal Lake Central's Josh Pudlo during the second set of their Singles Final Matchup at Crystal Lake South High School on Saturday. 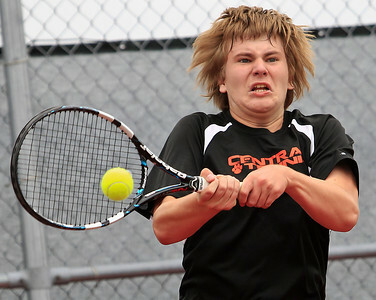 Brett Moist for The Northwest Herald Crystal Lake Central Freshman Josh Pudlo returns a serve from Prairie Ridge's Connor Greenwald during the first set of their Singles Final Matchup at Crystal Lake South High School on Saturday. 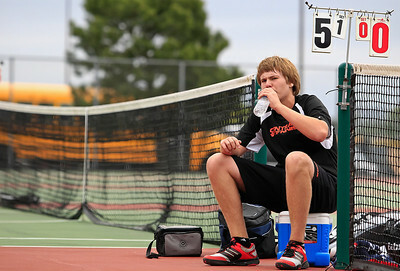 Brett Moist for The Northwest Herald Crystal Lake Central Freshman Josh Pudlo takes a break in between sets of his Singles Final Matchup against Prairie Ridge's Connor Greenwald at Crystal Lake South High School on Saturday. 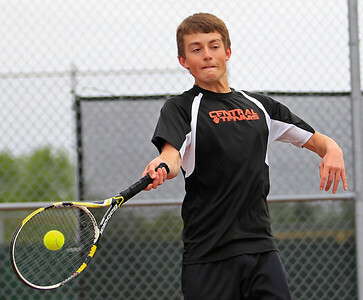 Brett Moist for The Northwest Herald Crystal Lake Central Freshman Josh Pudlo returns a serve from Prairie Ridge's Connor Greenwald during the second set of their Singles Final Matchup at Crystal Lake South High School on Saturday. 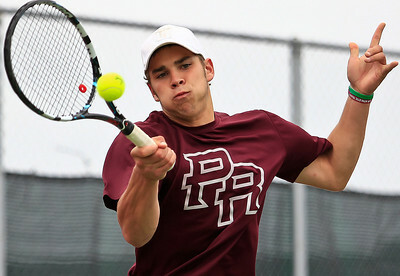 Prairie Ridge's Connor Greenwald returns a volley from Crystal Lake Central's Josh Pudlo during the first set of their Singles Final Matchup at Crystal Lake South High School on Saturday.